EDINBURG — Attorneys finished presenting their cases Tuesday in Hector Javier Alvarado’s capital murder trial. 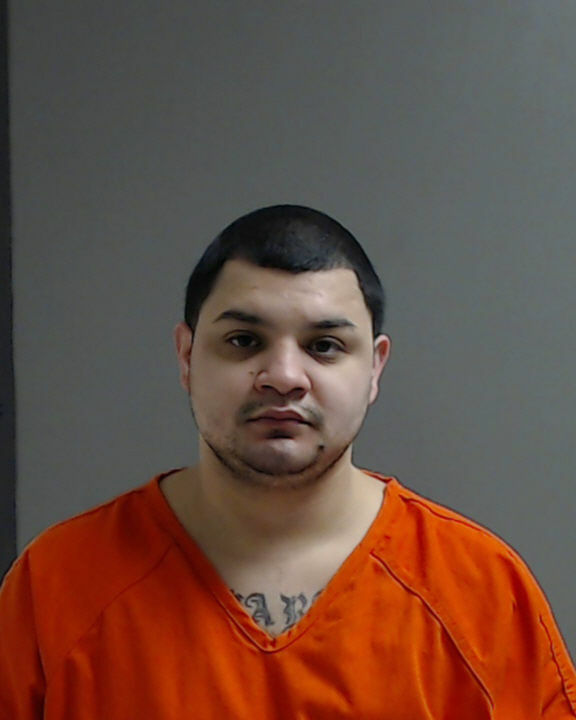 Alvarado, 26, is charged with two counts of capital murder and one count of capital murder of multiple persons for his alleged role in the May 2015 deaths of Jose Luis Salinas Torres and Lazaro Alejandro Martinez Esparza. Their bodies were discovered in the trunk of a car that had been set on fire off Farm-to-Market Road 1015. Investigators believe the men were fatally shot at a Mission home during a drug deal prior to be driven to the Delta Lake area. The state rested Tuesday after calling more than a dozen witnesses to the stand. Alvarado subsequently told Auxiliary Court Judge Jaime Garza that, per the advice of his defense team, consisting of O. Rene Flores and Rogelio Garza, he wished not to take the stand nor present evidence to jurors in the form of witness testimony. Garza is presiding over the case after the Hidalgo County District Attorney’s Office requested it transferred due to scheduling issues with the 275th state District Court. When asked if he rested as well, Flores said, “We do not rest, we do not close, we go no further,” a statement necessary to preserve the case if the verdict is appealed. Garza and Flores have proceeded “under protest” since the case was temporarily recessed in May after it came to light the assistant district attorneys trying the case had failed to provide the defense with resumes, testimony summaries and reports from the forensic pathologist who conducted the autopsies and forensic scientists who analyzed crime scene evidence. Flores had asked for a mistrial given that jurors were released for a five-week period, a request the judge denied. Garza also denied Flores’ motion Tuesday for a directed verdict, which sought a not guilty decision from the bench. Flores argued no reasonable jury would find the state had proved its case beyond a reasonable doubt, as there was no witness testimony or physical evidence directly linking Alvarado to the crime, apart from an alleged confession of the accused. Alvarado confessed to Hidalgo County sheriff’s investigators he had been present when the two co-defendants, Edwin Adrian Salinas and Carlos Vicente Palacios, allegedly shot the victims and burned their car. Flores called the confession into question given that the investigator who interviewed Alvarado was not the same one who read him his Miranda rights. The state and defense are expected to make closing arguments Wednesday before the jury begins its deliberations. If found guilty of any of the three counts, Alvarado faces an automatic sentence of life in prison without parole. Trial dates have not yet been set for Salinas or Palacios, both scheduled to be tried in the 275th District Court.